The cold weather is finally moving out, and you’re ready for a vacation. Who isn’t? So you’ve started researching the top vacation spots or the newest hotels at your favorite beach. This year’s vacation will be a good one—you just know it! But how do you make sure you get the most bang for your hard-earned buck during the trip? We recently reached out to Allie, a popular travel blogger, who offered useful tips on the best way to find deals on vacation fun! 1. Look for local deals online. Sites like Groupon and Amazon Local provide deals all over the country. Once you’ve picked your destination, hop on those sites and see what you can find. You could get special rates on tickets to shows, sporting events, golf courses, restaurants, and all kinds of other local experiences. 2. Don’t overlook the Visitor Information Center! 3. Book a walking or trolley tour. You’ll find local tours in most vacation towns. “Spending the first day of your time away getting acquainted with the area helps you spend your days, and money, wisely,” Allie says. 4. Look for local bloggers and social media accounts. If you want to know where the locals go, all you’ve got to do is ask them. For example, visitors and locals frequently share great information on Allie’s blog’s Facebook page—everything from the best beach spot in town to the perfect restaurant for a romantic evening. Search around for your destination’s top local bloggers and social media accounts. If you’re on a tight budget and looking for something more reasonable, make sure you let them know when you reach out! 5. Plan ahead for your hotel stay. Instead of calling through the 800 number, call the front desk of the hotel a week or so before you arrive if you have any special needs. “I often find that a request for a crib leads to a friendly conversation and a great room assignment!” says Allie. Also, be sure to sign up for hotel rewards (not credit card related, of course). “Staying in the chain builds points toward free nights but also gives priority check-in, extra bottles of water and snacks, and even free room upgrades!” she adds. 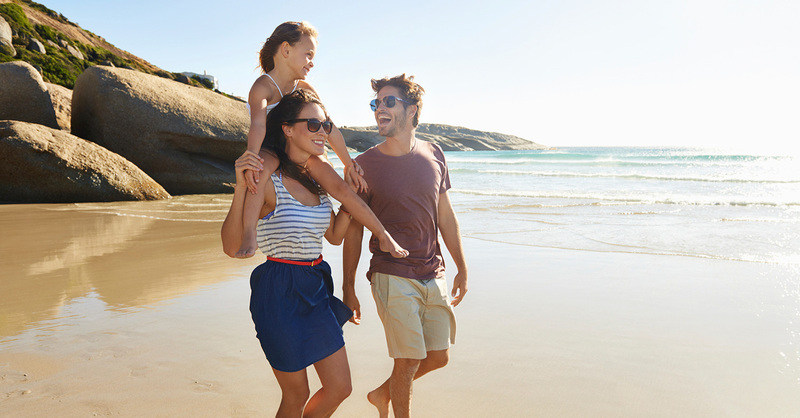 Remember, vacations are much more fun when you budget for them! Make sure you plan ahead, put together your EveryDollar budget, and make the most out of your time and money on this year’s vacation! Thanks again to Allie at Simply St. Augustine for the amazing advice!